In 2009, NASA’s groundbreaking Kepler mission identified its first potential exoplanet. Now, ten years later, the discovery of the planet—now known as Kepler-1658-b—has finally been confirmed, according to a study published in the Astronomical Journal. The now-retired Kepler space telescope transformed our understanding of planets outside the Solar System, demonstrating that they are ubiquitous throughout the universe. In total, the mission discovered more than 2,600 confirmed exoplanets, according to NASA. However, it also identified thousands more potential planet candidates—many of which still await confirmation due to various challenges. The telescope used the transit method to identify candidate planets. This involves looking for small dips in brightness as planets pass in front of their host star when observed from our viewpoint. But further analysis is required to confirm whether a planet is there or not. When Kepler-1658-b was first identified as a candidate, initial estimates of its host star were some way off. This meant that the sizes of both the star and the planet were significantly underestimated and thus scientists were unable to explain certain characteristics of the proposed system. As a result, 1658-b was then marked as a “false positive”—in other words, the data falsely indicated the presence of a planet. However, new analysis of Kepler’s data conducted by an international team of scientists has shown that 1658-b is, in fact, a planet. 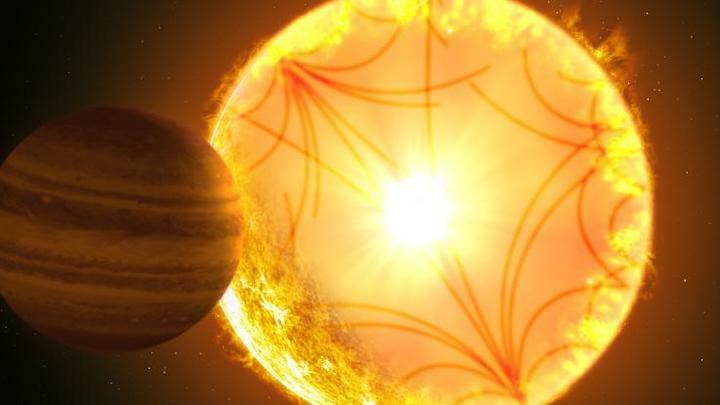 Hot Jupiters are a class of massive, gaseous exoplanets that orbit extremely close to their host. As a result, they tend to have incredibly high surface temperatures. After Chontos and her team’s initial analysis, the presence of a planet was confirmed using follow-up observations conducted by astronomer Dave Latham from Harvard University. According to the findings, Kepler 1658-b is so close to its star that it completes an orbit once every 3.85 Earth days. If you were able to stand on the surface of the planet, its star would appear 60 times larger than the Sun looks from the Earth. In fact, the researchers predict that 1658-b will eventually collide with its star. “Confirming that Kepler’s first exoplanet candidate really is a planet is a wonderful legacy result, which brings things full-circle, now that Kepler has finished taking data,” Bill Chaplin, an author of the study from the University of Birmingham in the U.K., said in a statement.